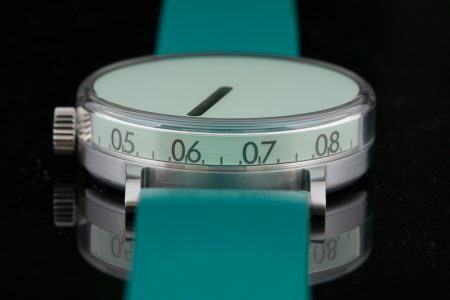 One of the new backers is a watch enthousiast that had a hands-on experience during the WatchUSeek get-together in London last October 1st. The black version won him over. He also wrote some nice words in the comments section on the campaign page. I did get a lot of supporting pledges though. That keeps the spirit awake and is much appreciated. Thanks to everyone who did <3. And 6 watch fora wrote about The Hourglass. That is a nice score. You can find them at the bottom of my website’s page about The Hourglass. And of course I am working on getting more exposure every day. Meanwhile I got a lot of positive response on my posts on watch groups on Facebook. I get a lot of traffic to the Kickstarter campaign judging by the number of video plays (almost 1600 by now). That is nice, but it did not “pay off” in new backers. So I decided to create a poll with Google Forms to find out why The Hourglass is backed so little: The Hourglass Poll. I would appreciate it if you would take a moment of your time (like about 20 seconds) to share your thoughts with me by answering 2 multiple choice questions. Meanwhile I am still working on options to get the price down. Depending on the results of the poll I will adapt the level of my efforts to achieve this. Looking forward to your opinion on The Hourglass through your answers to The Hourglass Poll. Oh, almost forgot. I have rewritten the pages about The Porthole and The Hourglass on my website. My aim was to do away with the storytelling parts and be more informative and to the point. Hope you like it!